Handmade by a Chinese worker, the Star Map shows the sky during the Tang Dynasty when the Dunhuang Star Altas was made. Groups of stars in this ancient sky resemble vessels and satellites from the Chinese Space Program. The map shows Dong Fang Hong 1 (Red East 1, China's first satellite launched in 1970) and all major spacecraft upto the lunar probe Chang'e 2 (2010). 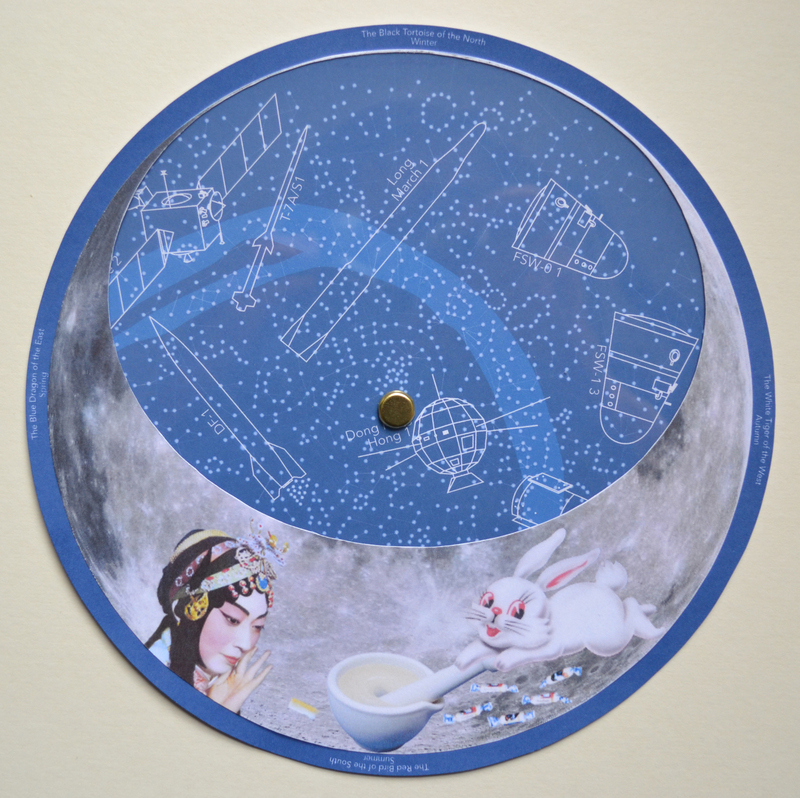 The Chinese Moon Goddess Chang'e and her companion Jade Rabbit watch from the moon whilst mixing the elixir of life. Face South and turn the inner circle to view different parts of the sky.